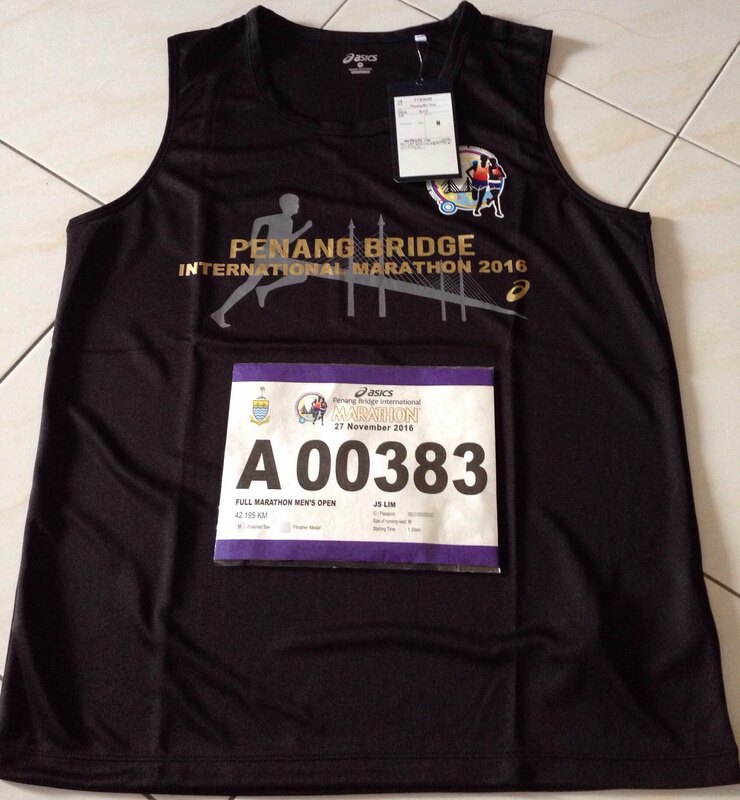 This is my 3rd year joining full marathon in PBIM. 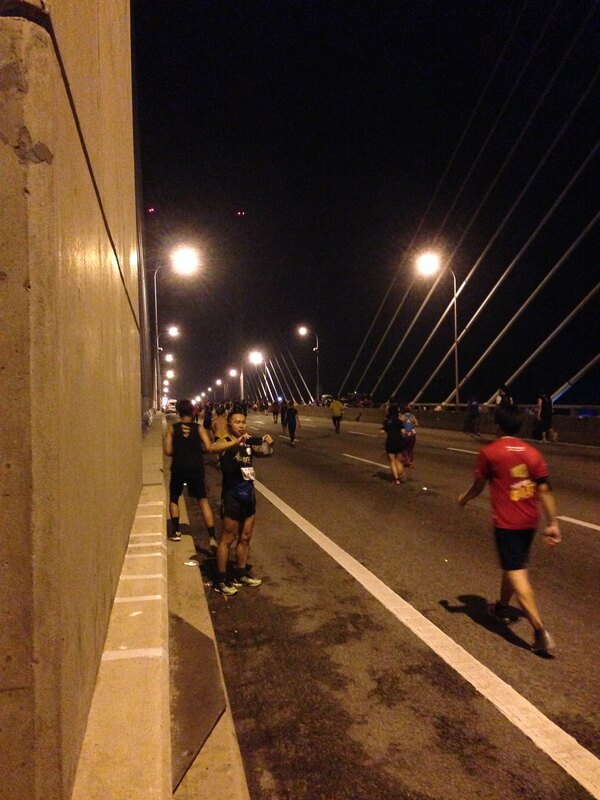 The 1st time I completed in 5:08 hours, that time was running on 2nd bridge. 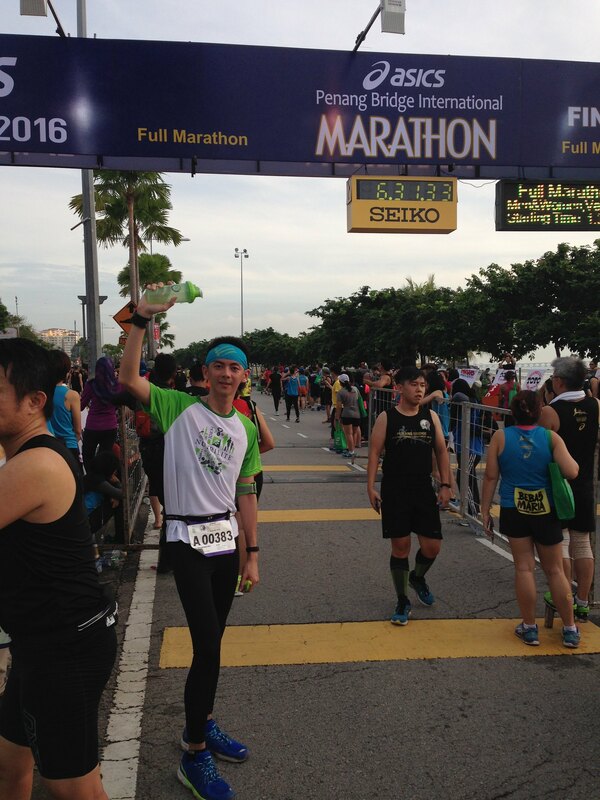 Last year I completed in 6:23 hours, due to injured on my ankle, and lack of training. 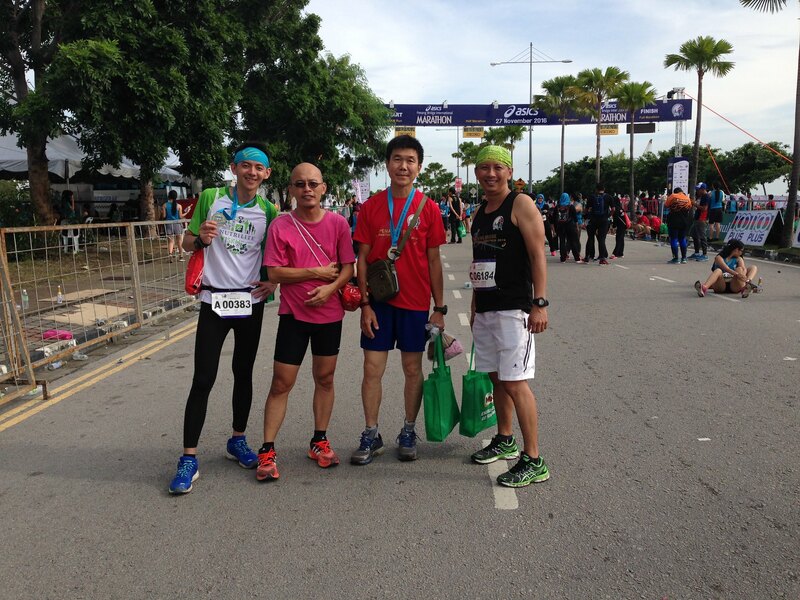 This year, my finishing time almost same as last year. 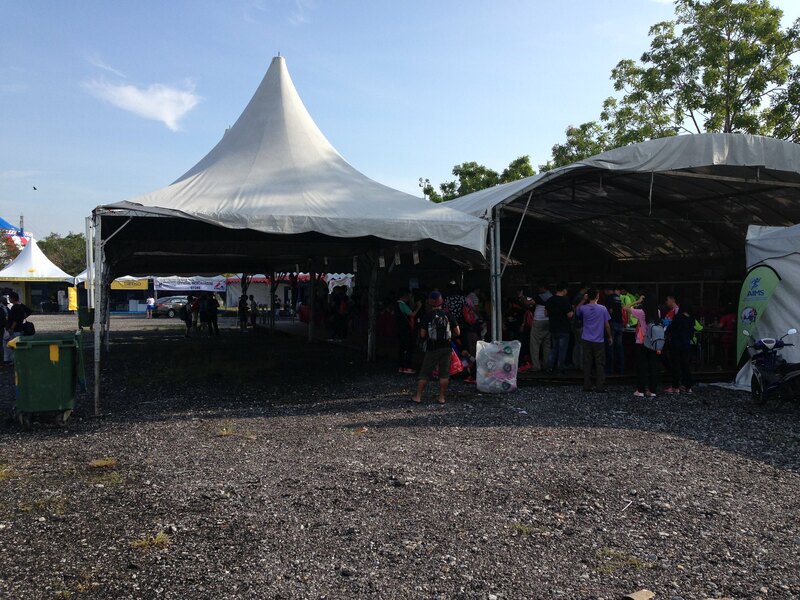 Early morning 9am+ I already reached the collection counter, that’s why not many people there. 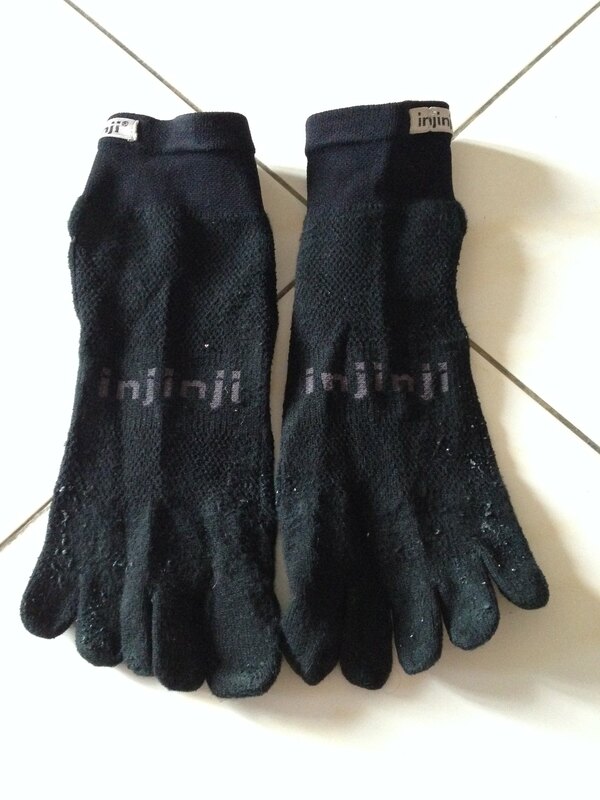 Injinji socks. Because the 1st time I join FM, my toes feeling pain after some distance. This sock separate toes so that it avoid the problem. A newly bought compression pant. 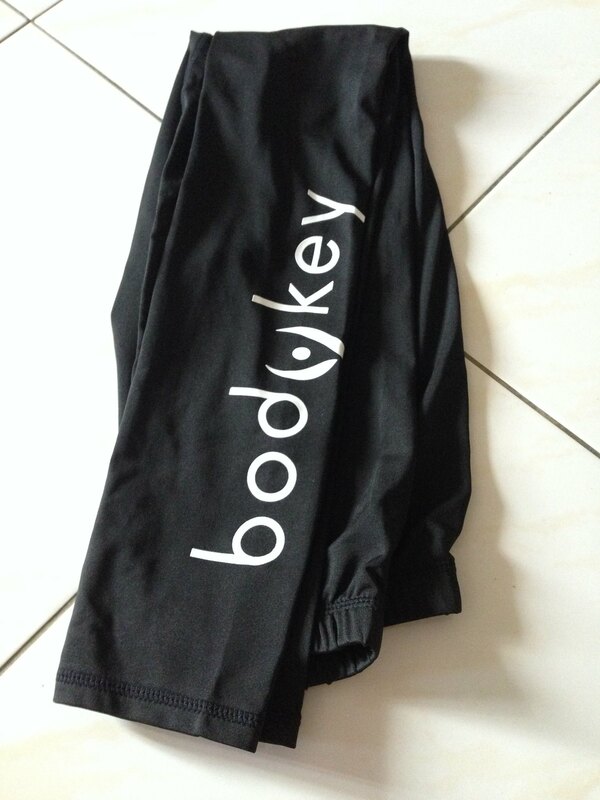 I bought itduring the BodyKey event day. Quite good! 10 years ago, people run with a normal digital watch with a basic timer. 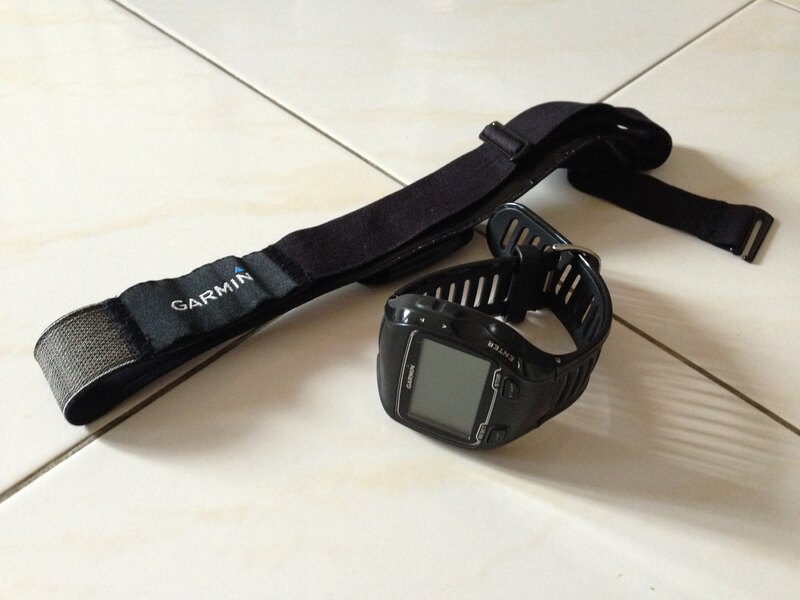 Nowadays I see many of athlete wearing a GPS watch. I also using this to estimate my pace in order to complete before the cutoff time (COT). 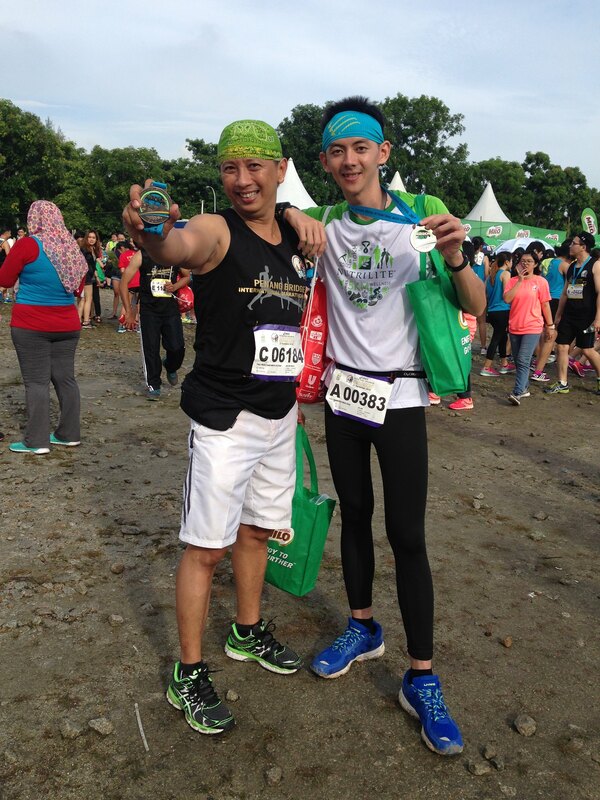 Well, I can complete within the COT without much training, I think mostly is because of Nutrilite! Here are Double X, Salmon Omega 3, All plant protein, BodyKey meal replacement & phytopowder orange. You can reach me on my Facebook page and PM me if you want to know more. 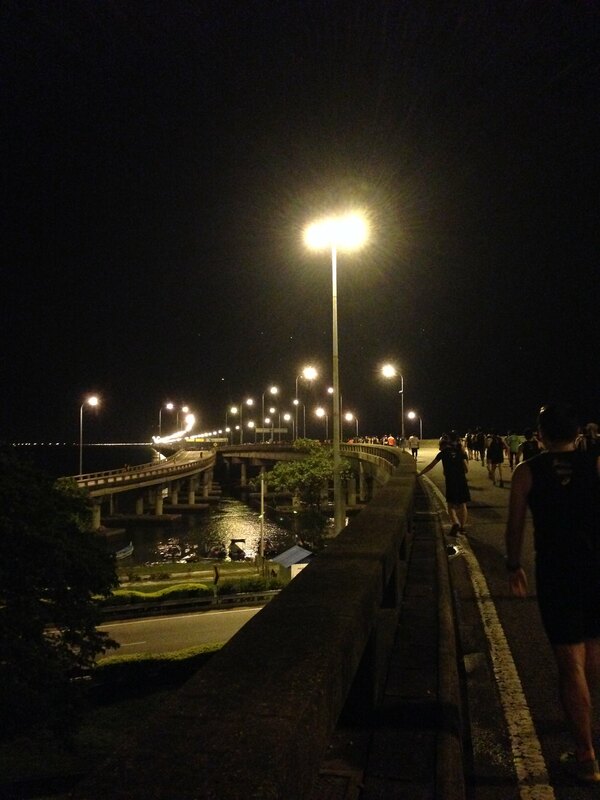 Same like last year, I started to walk after 8th km. 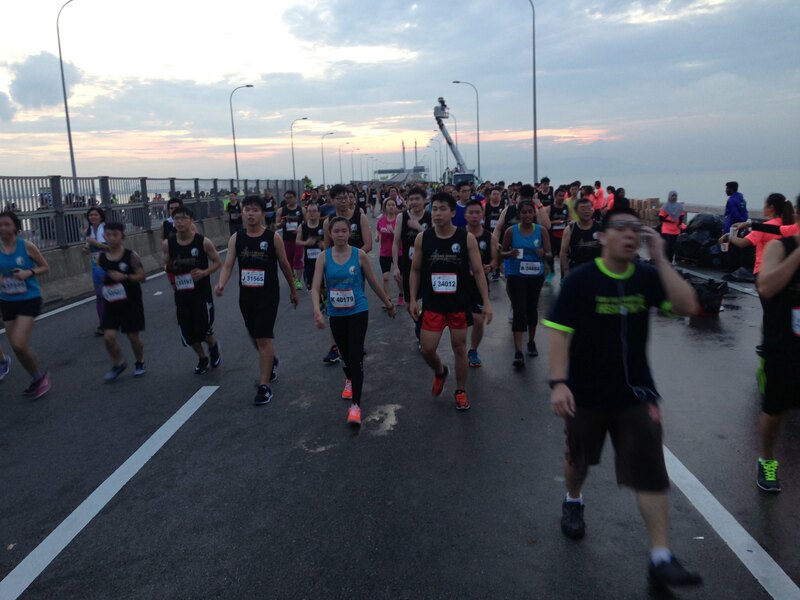 Walk-run-walk-run~ feel like want to vommit also, very uncomfortable. 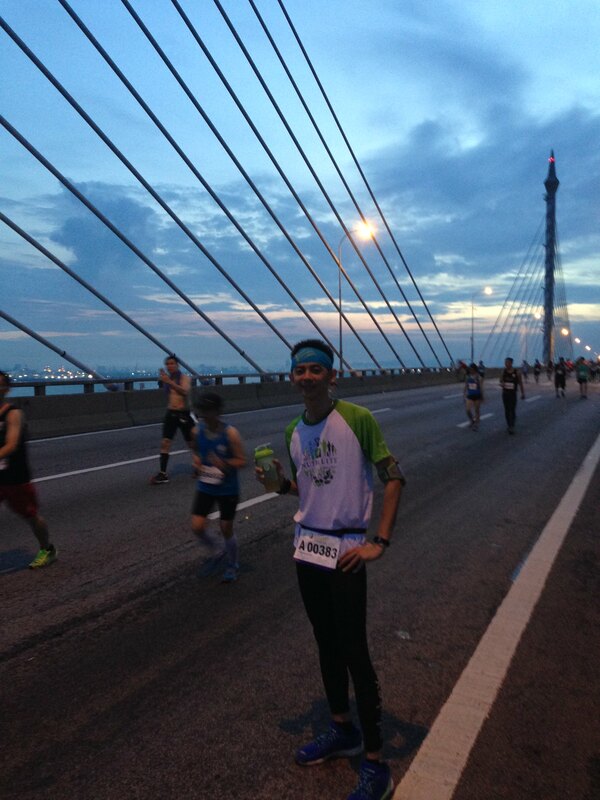 Until going up the bridge, it was 18-19th km, my stomoch feeling better at that time. But feeling sleepy and leg muscle start feeling pain. I think this is because of not training well. 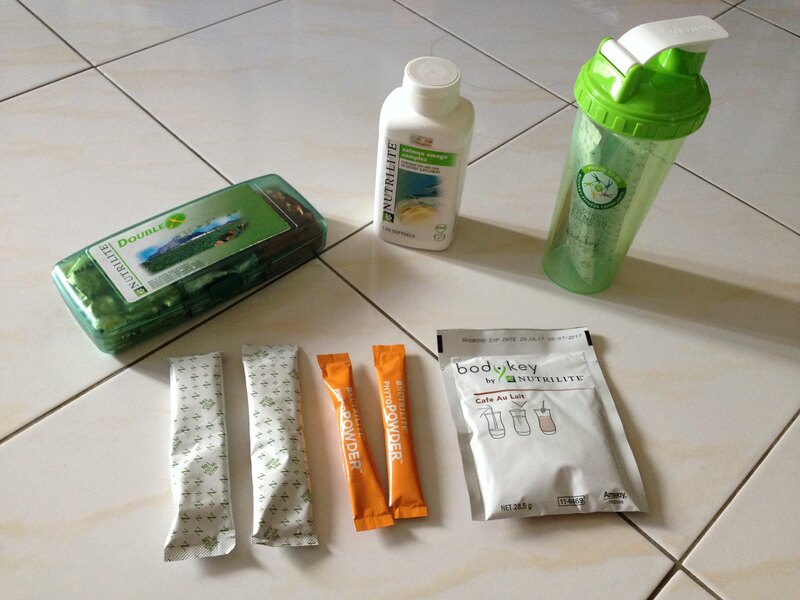 After digested my dinner, it’s the time to re-fuel with protein & BodyKey. Yeah!!! 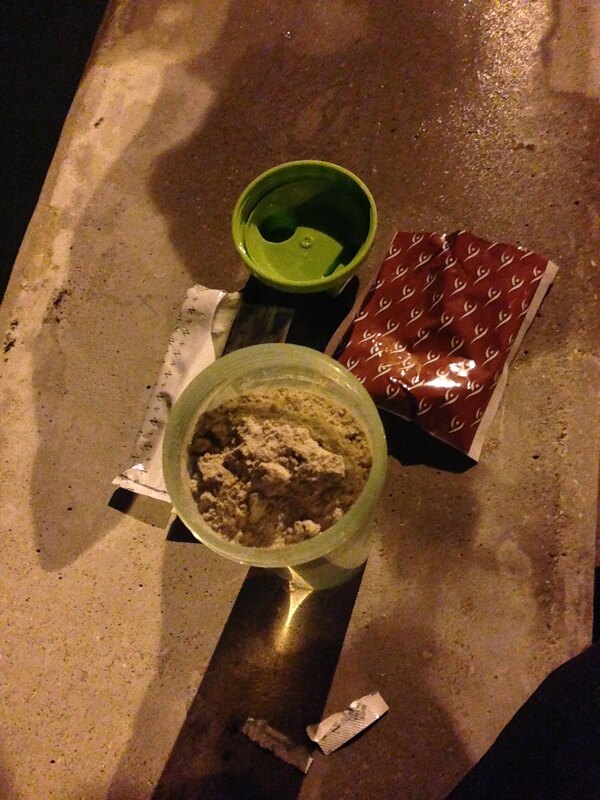 I also prepared Phytopowder orange 2 sticks. 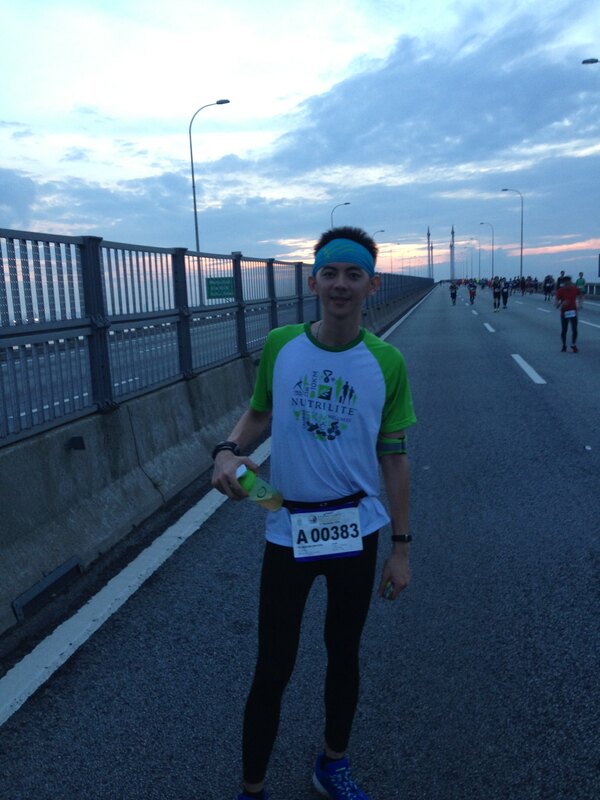 Around 26 or 27km I drink while running/walking, that moment my leg muscle was tight. 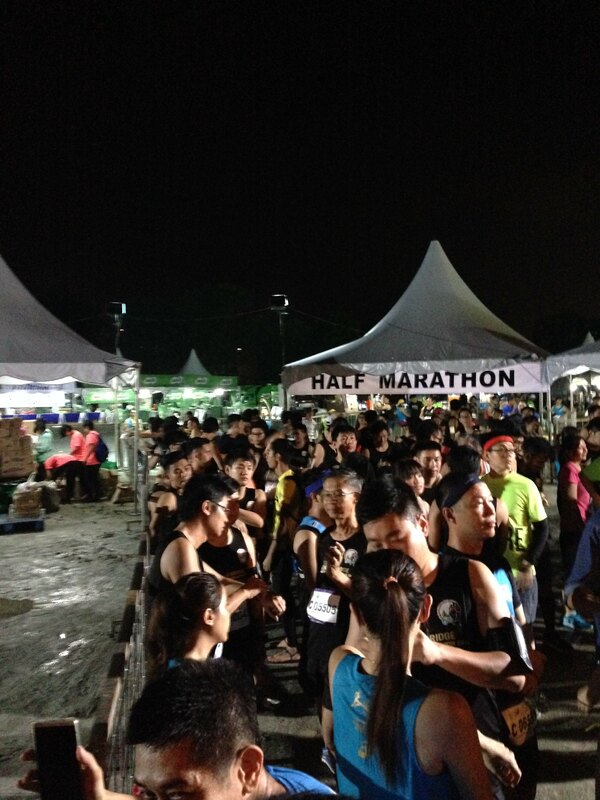 Until 30 or 31km, my leg feeling relief. Phytopowder is so powerful!!! I think is because of electrolytes, it’s very helpful. 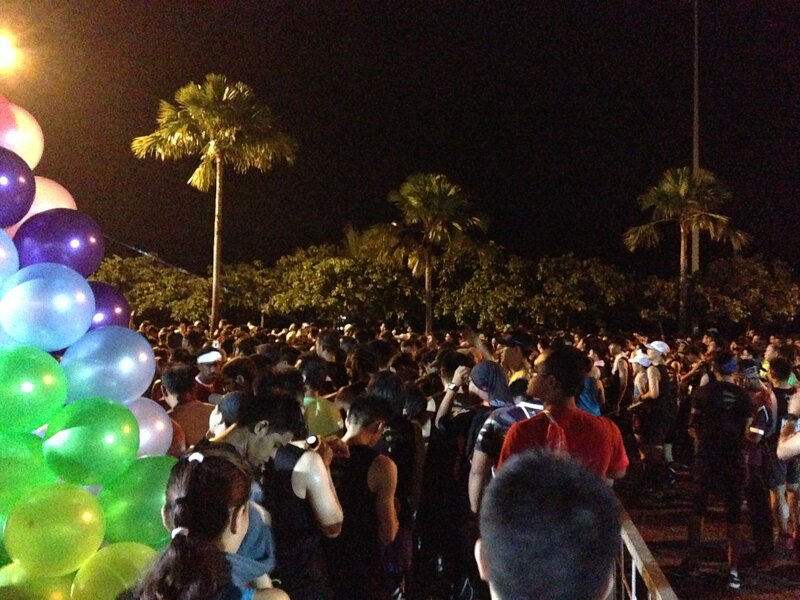 This is intersection point with 10km runners, suddenly become so many people. Woo hoo!! At the end, I follow the 6:30 balloon man cross the finishing line. 06:31:33 when I take this photo. 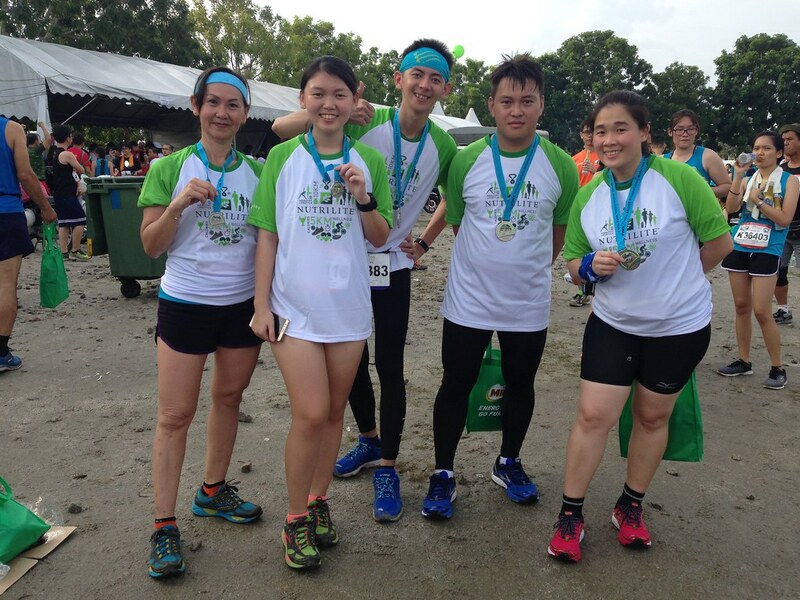 This year we have different size of medals —— S, M, L. Obviously, S is for 10km finisher, M is for 21km finisher, L is for 42km finisher. Another friend of mine, also completed his 2nd FM. Remember the red-tshirt guy? He told me his knee pain. Guess what? 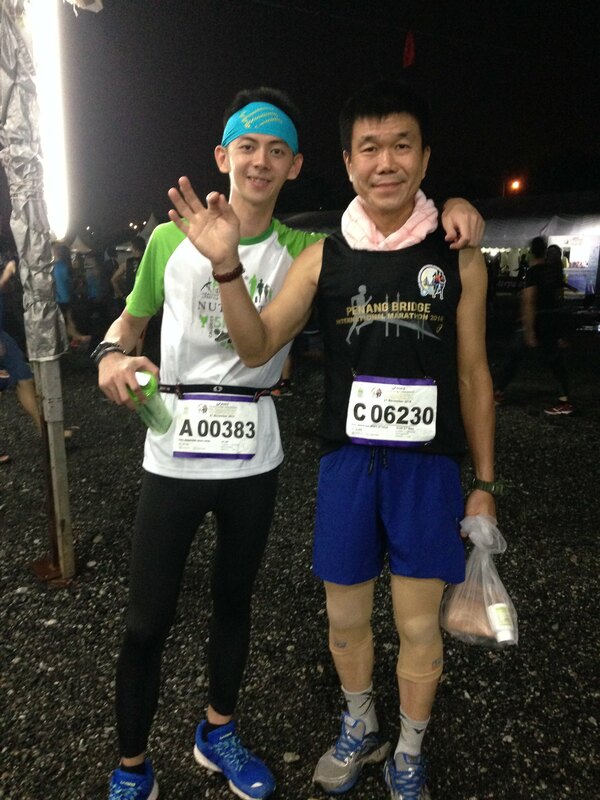 He completed in 5:40++ hours. And this is also his first FM. 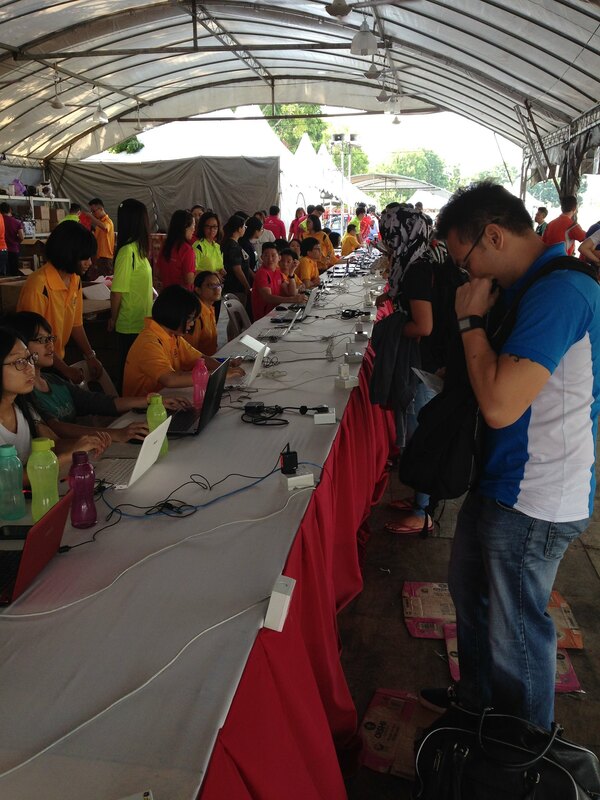 The pink t-shirt guy is running HM, hopefully next year can see him in FM. 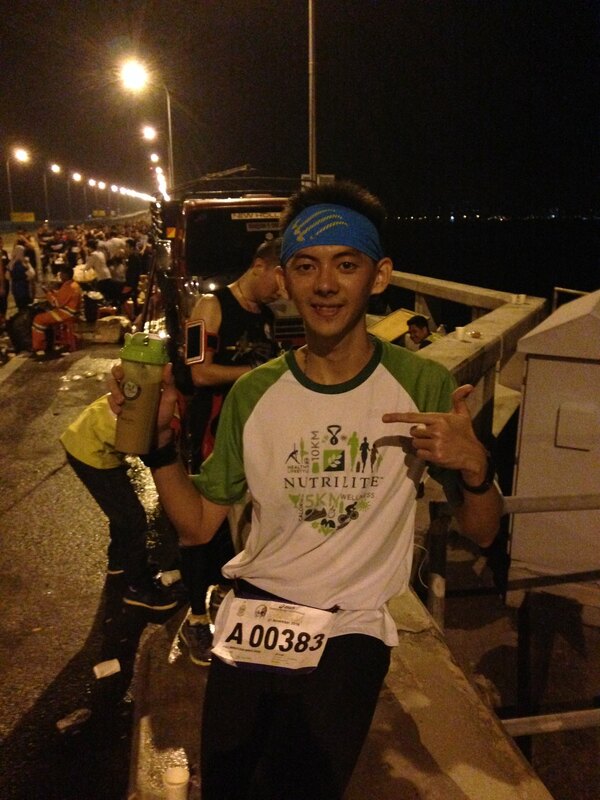 After the race, I have Nutrilite protein for my recovery. 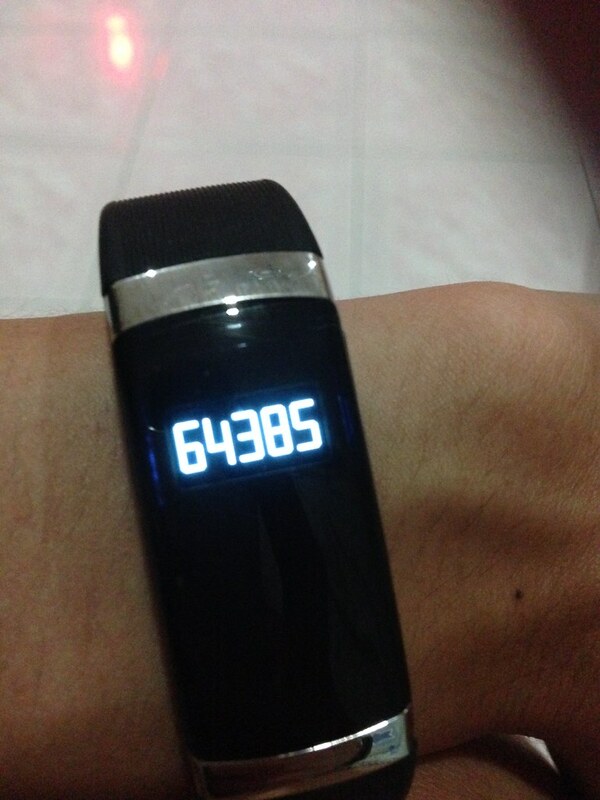 In that day, I have total 64k+ steps, almost same as last year. Back in year 2014, I was so excited when I completed my first FM. 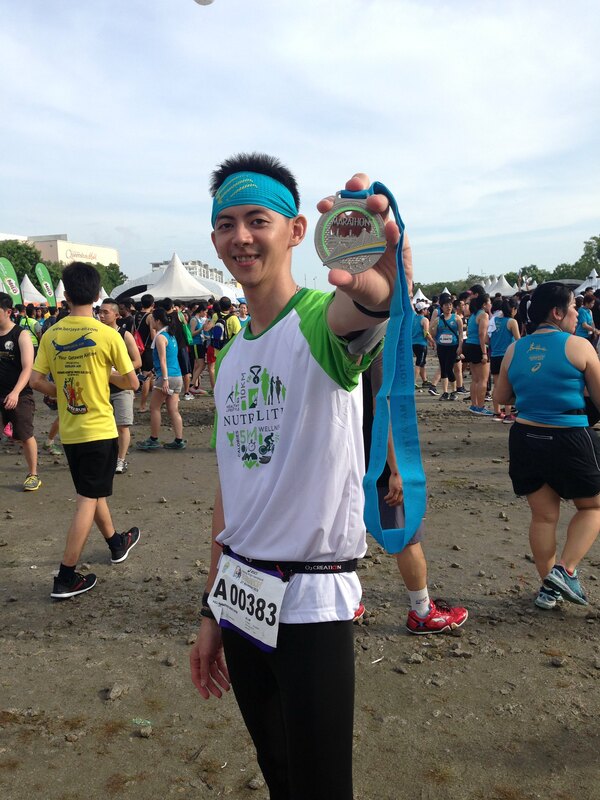 Now, this is my 3rd times, before the race I already know I sure can complete within the COT, so the excitement level is not that high. I believe everyone has a target to pursue. 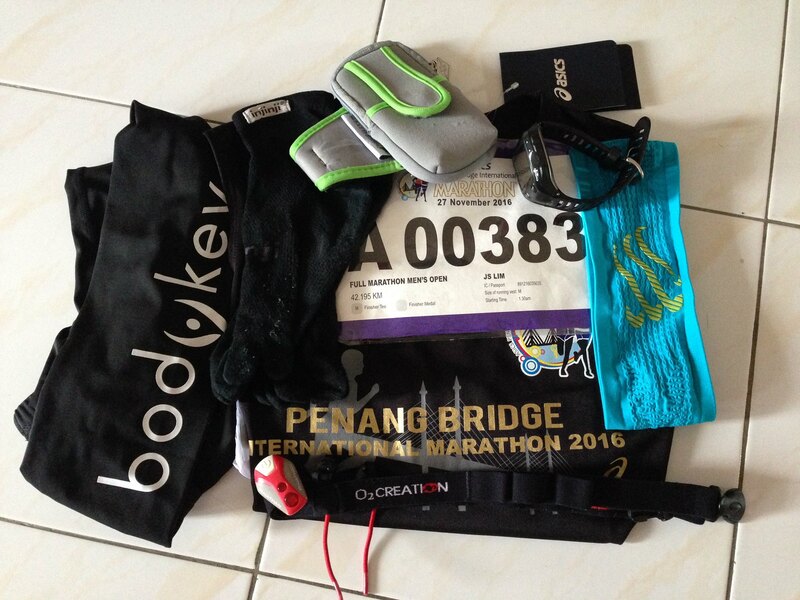 Just like 3 years back, my target was 42km; now, I’m looking towards ultra race in 2017!